one of the only places in the world where humpback whales find sanctuary to ‘stay and play’. and perhaps also swim closer to you to get a better look! Also if you are lucky, watch a mother swimming with her calf by her side. Finally professional guides will help you to recognize different whale behaviors and even individual whales by their unique markings. that stays with you for a lifetime because you will never forget it. The waters also of Hervey Bay, Great Sandy Strait and Tin Can Bay Inlet, from Bundaberg (north) to Double Island Point (south). Access is from coastal towns and boat ramps between Bundaberg and Rainbow Beach. Humpback whales feed in the krill-rich Antarctic waters also during summer and migrate north for winter. Also where they give birth to their calves and mate again. back to the Antarctic. In 2012, the humpback whale population migrating along the east coast was estimated to be 17,000 whales. 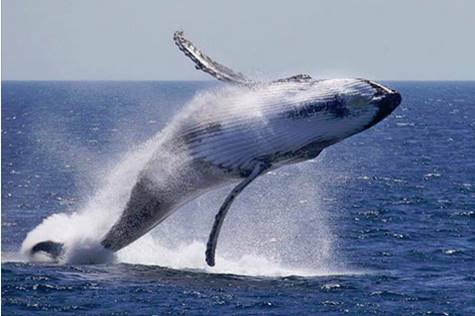 Around 25 percent of this population visits Hervey Bay each year, that’s up to 4000 whales.